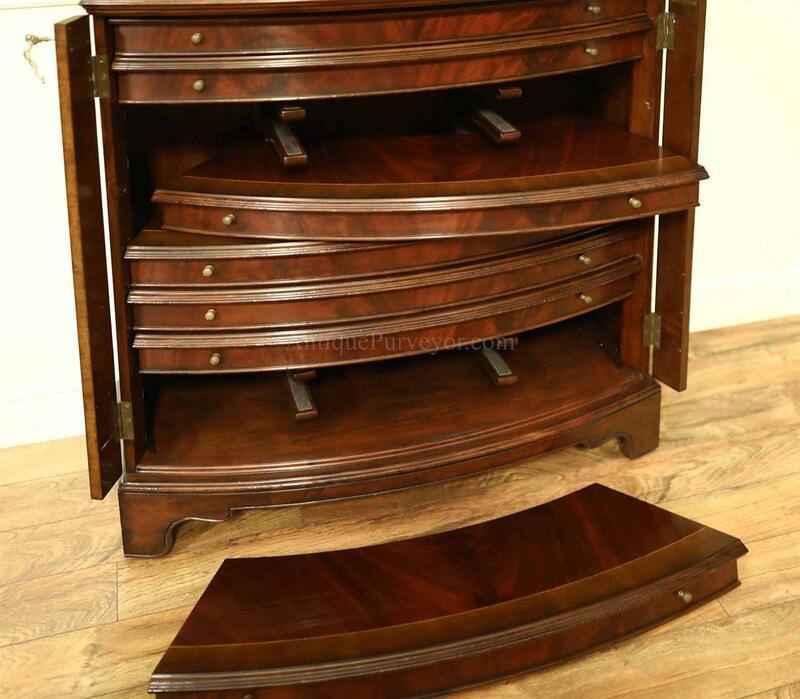 This table comes with two sets of leaves and two leaf cabinets! 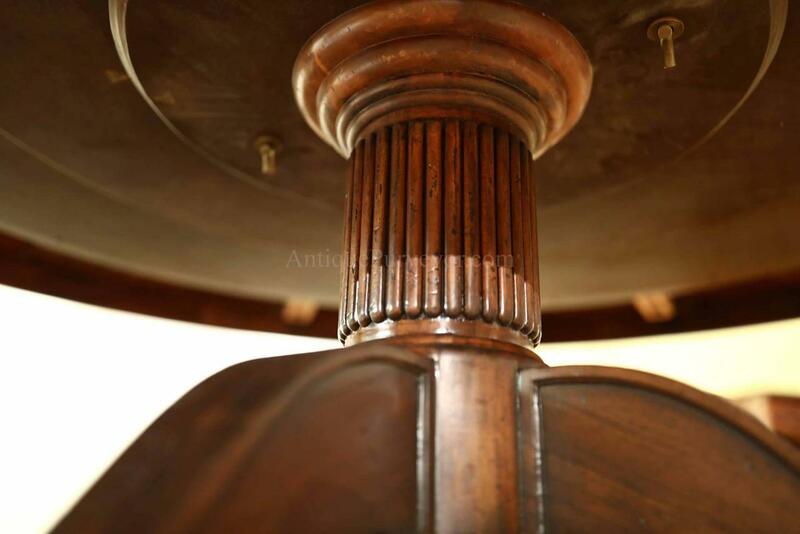 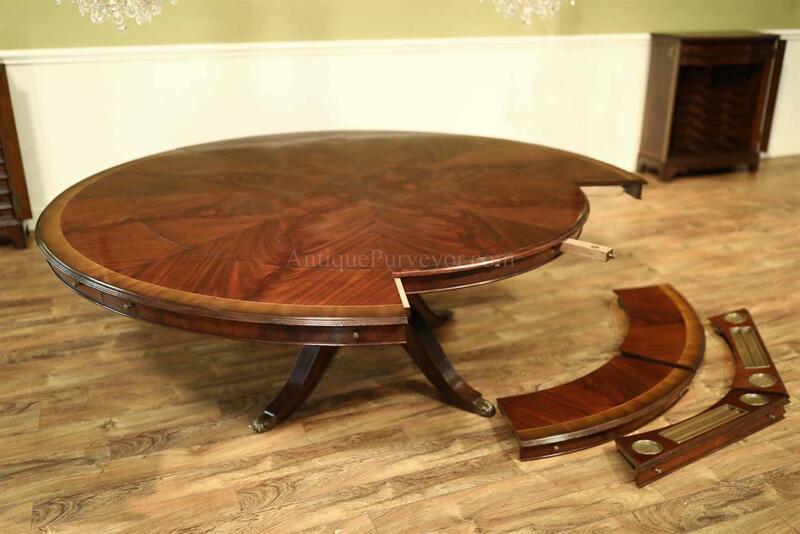 Description: Expanding round mahogany pedestal table seats 6-12 people. 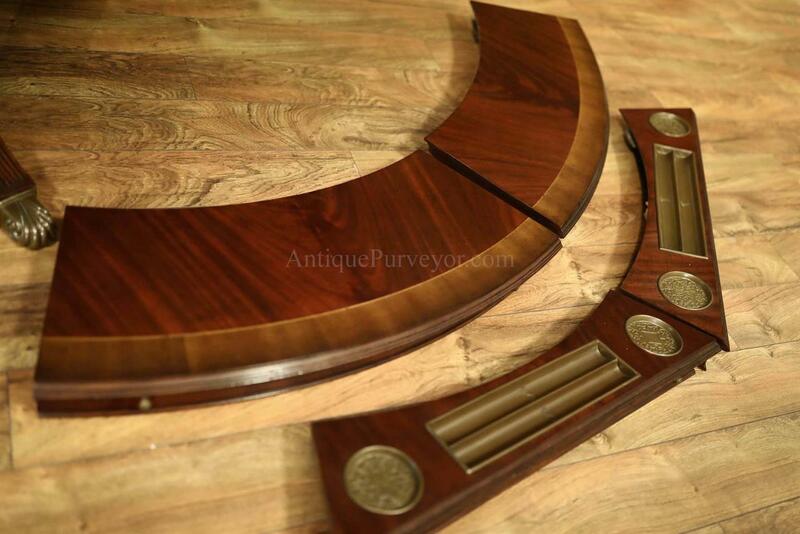 This wood poker table is very unique. 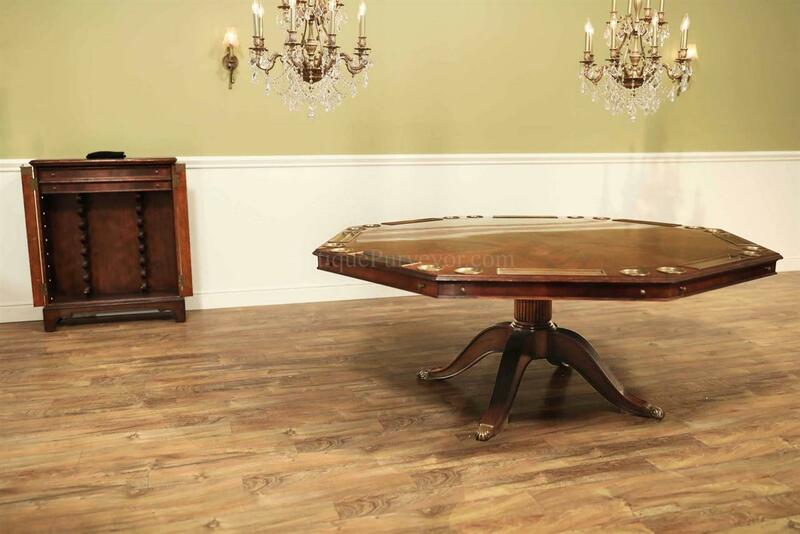 This luxury poker table can be used with no leaves which is perfect for seating 4 to 6 people but it also comes with two sets of leaves, poker leaves (built-in chip rack and drink casters) and standard table leaves. 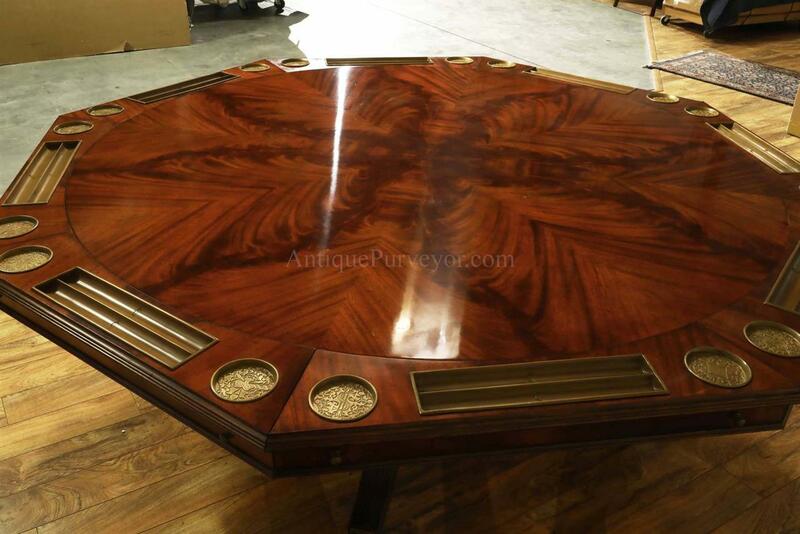 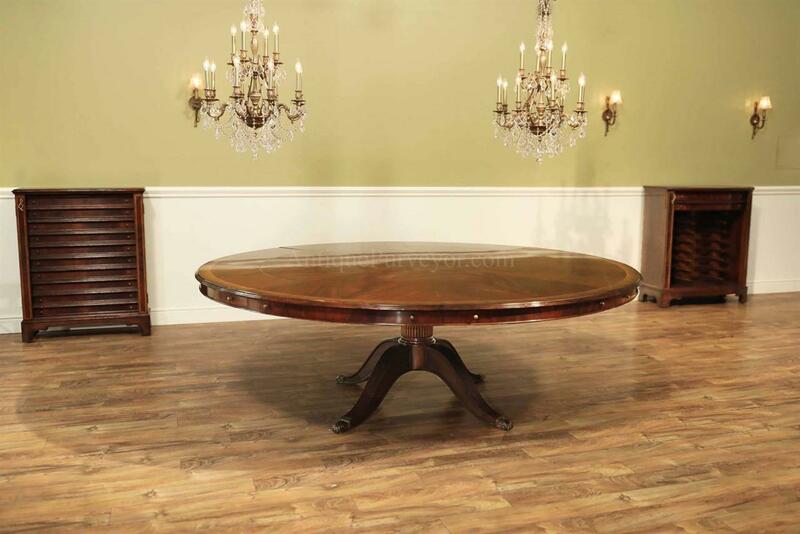 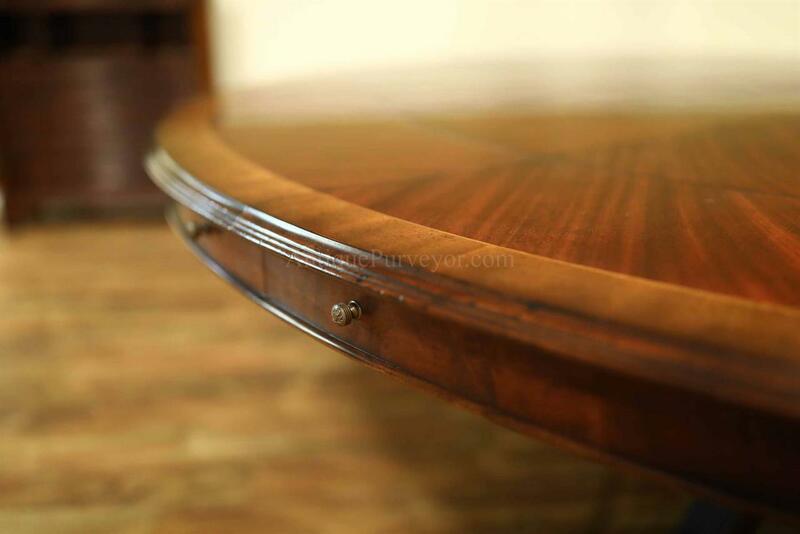 The poker leaves expand this 66-inch round table into a 85 inch octagon and the dining leaves turn the table into a 90 inch round for seating up to12 people. 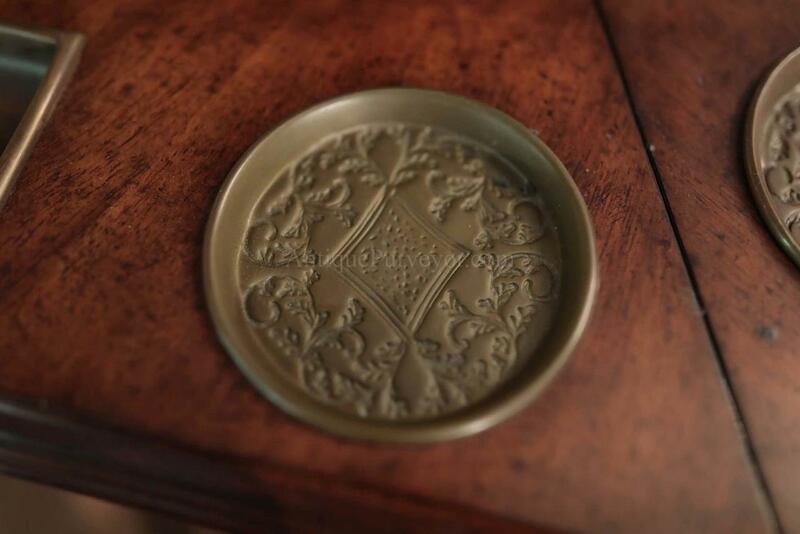 The quality of every component is mind-blowing. 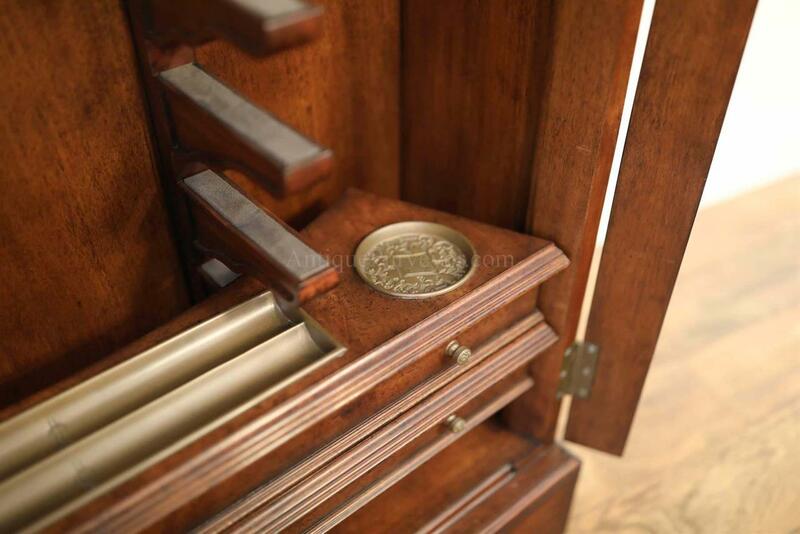 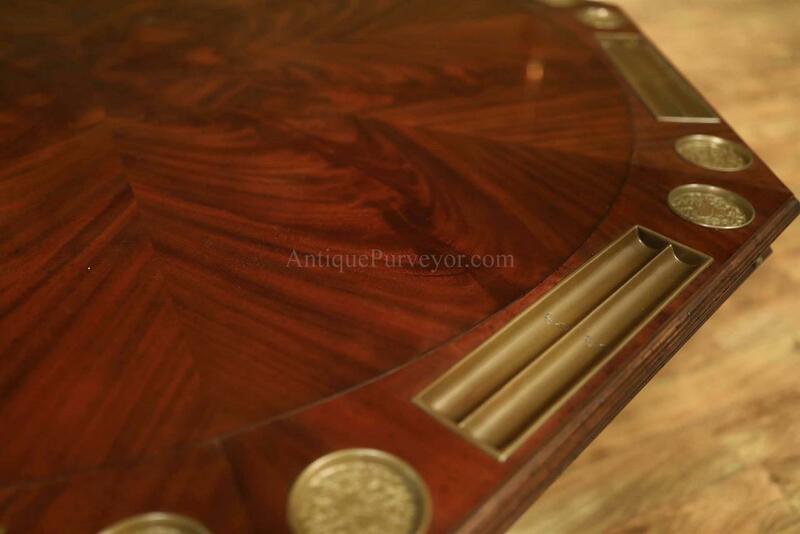 You'll see and feel quality everywhere on this luxury poker table; the latches feel like a Swiss watch; engraved cup holders decorate the poker field and even the scrolled brass feet are all done with a level of detail usually associated with jewelry...not furniture. 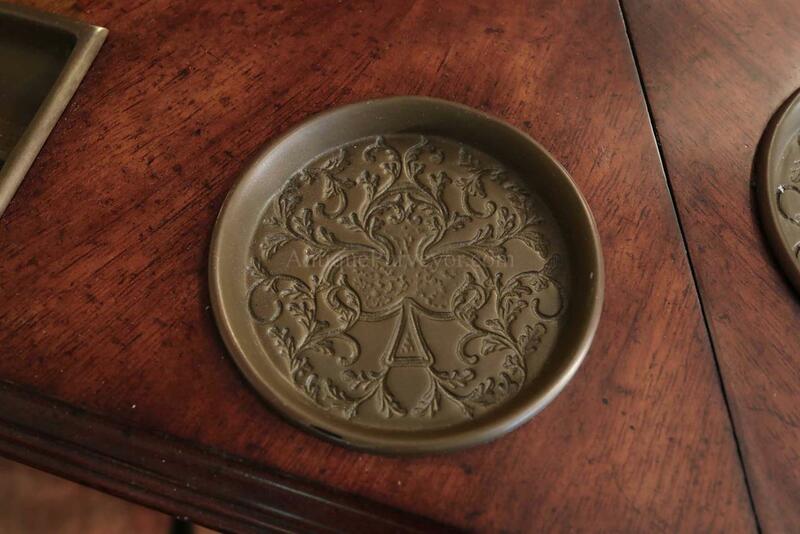 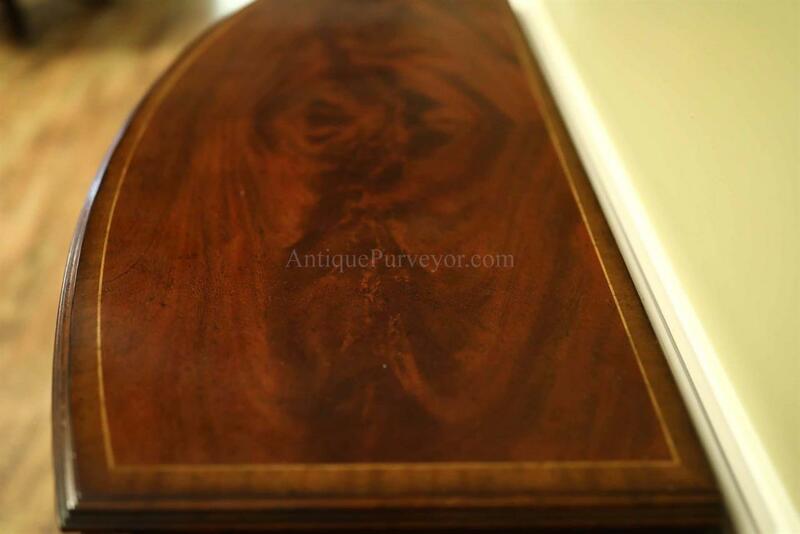 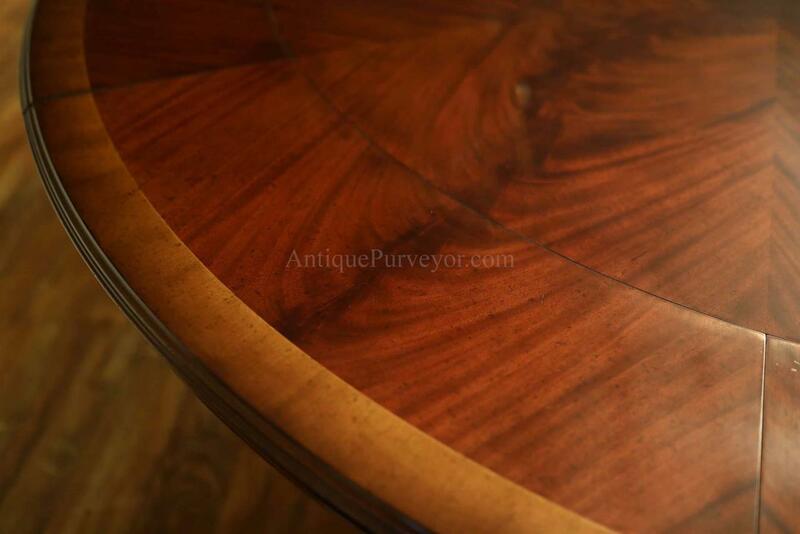 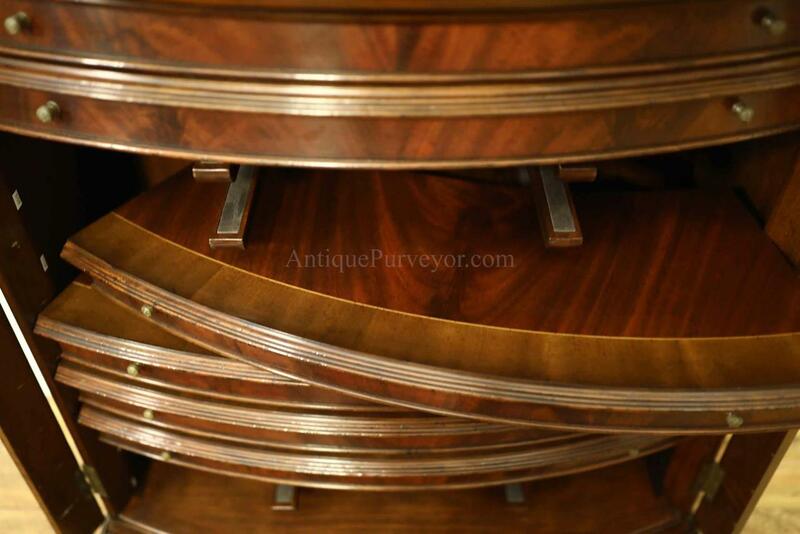 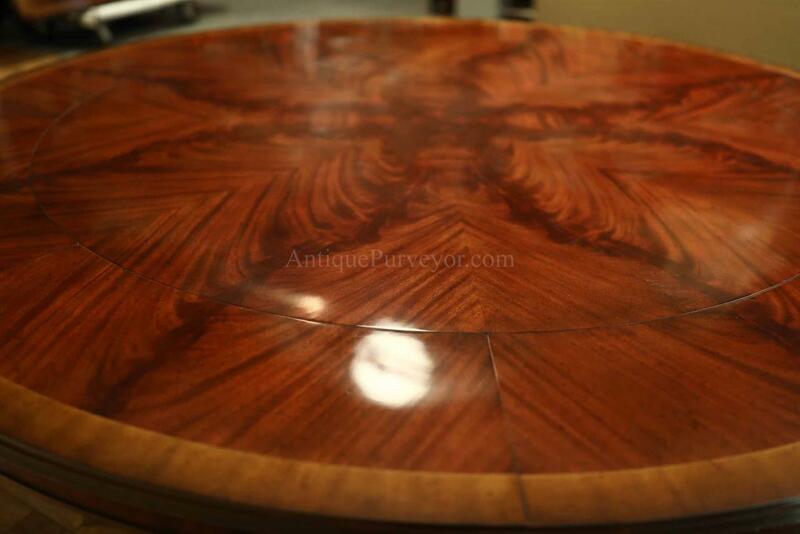 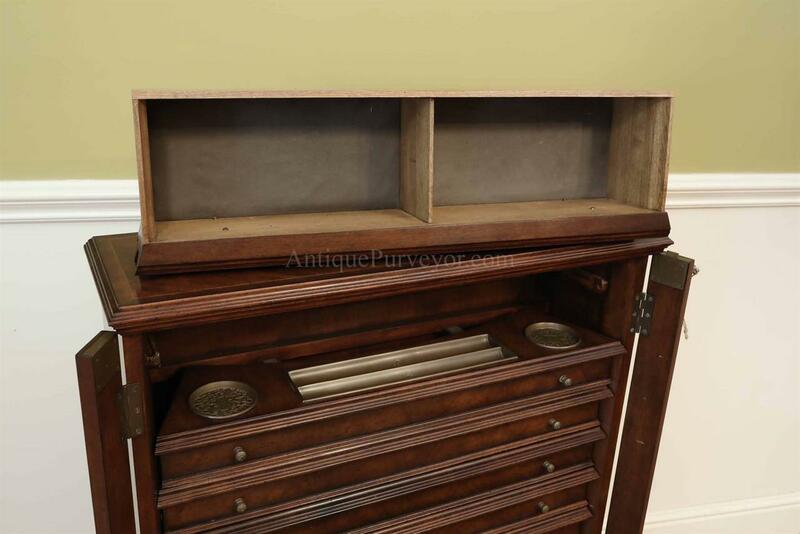 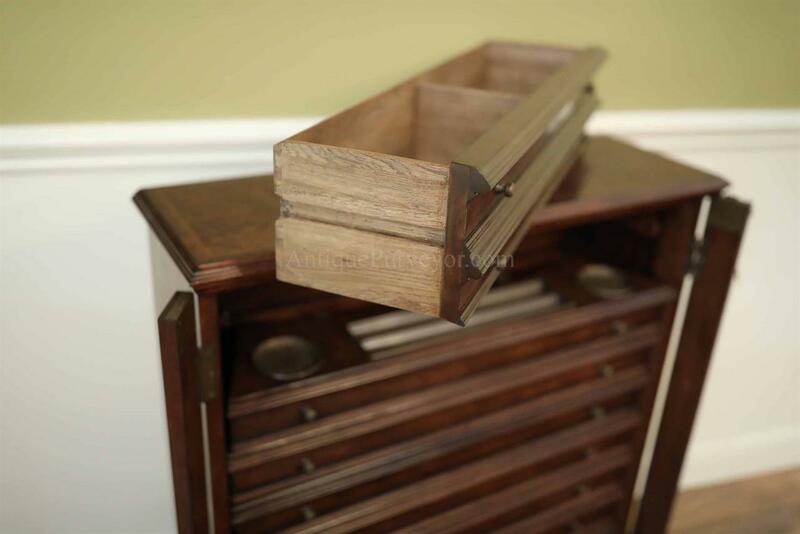 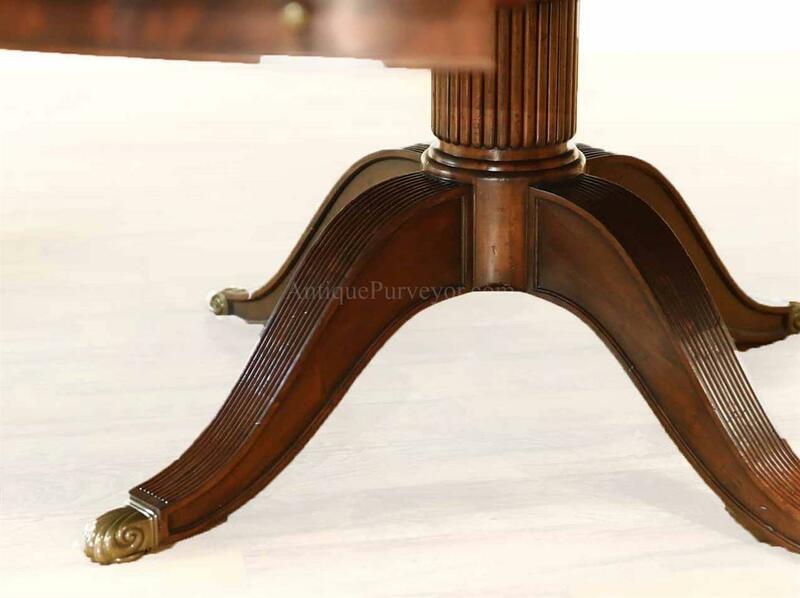 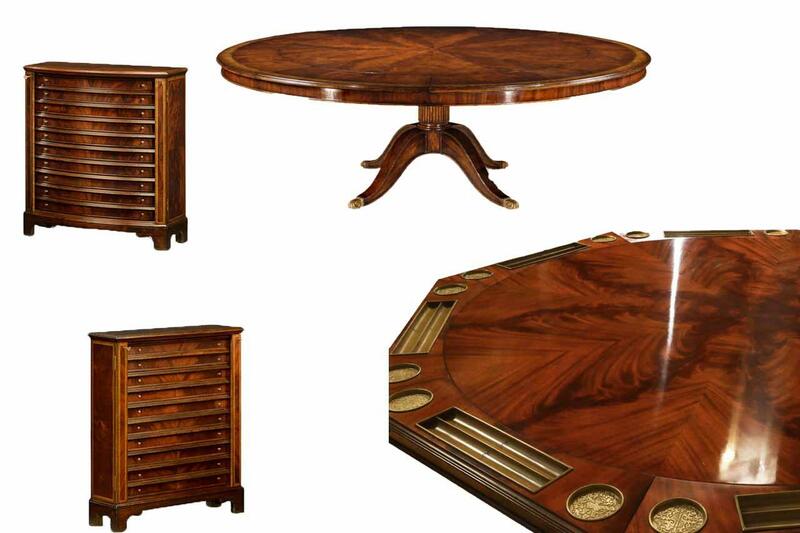 The two pictured inlaid mahogany leaf cabinets are included with this table. 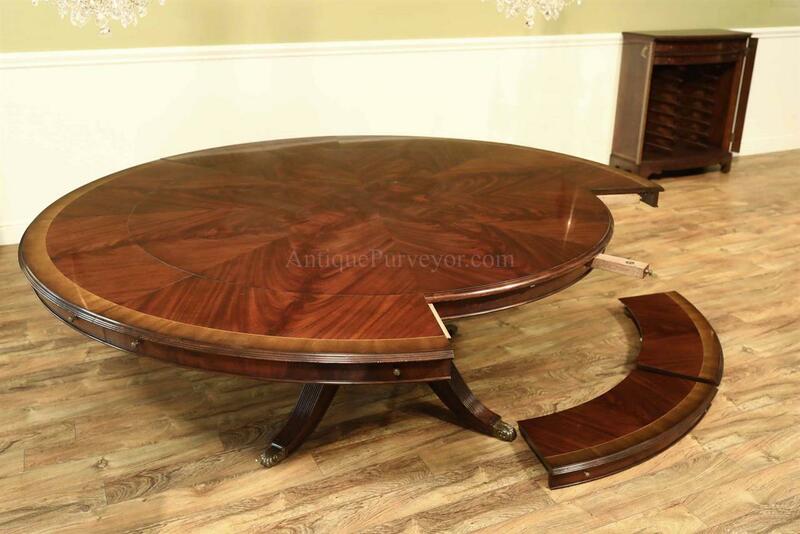 We also have this mahogany poker table available in walnut, which has a less busy field, less red and more ashy brown. 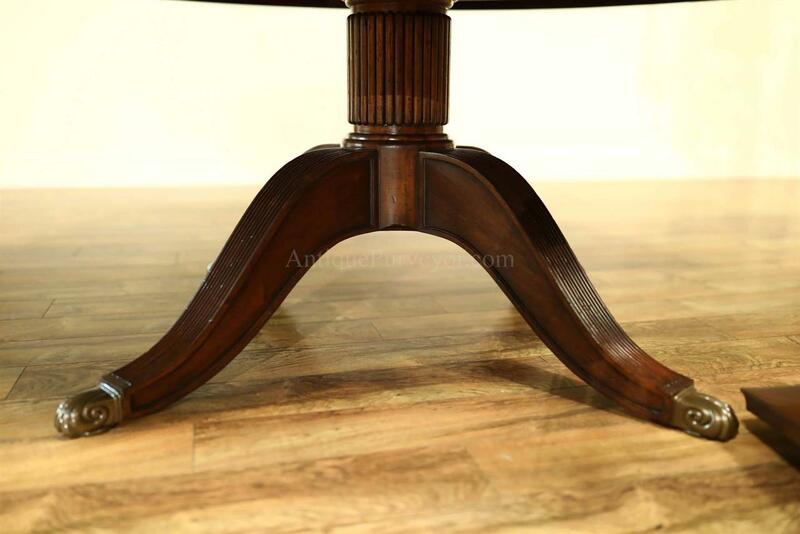 See related product on right margin of your screen to see that table as well. 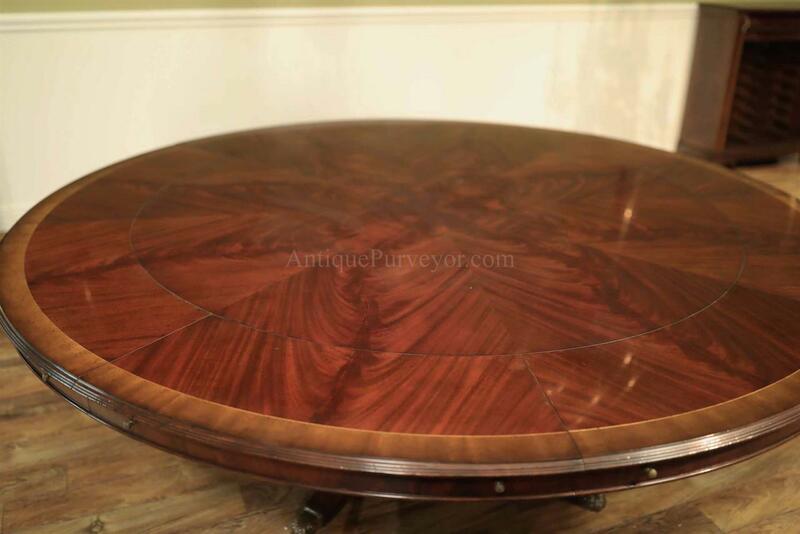 90 inches round with standard leaves. 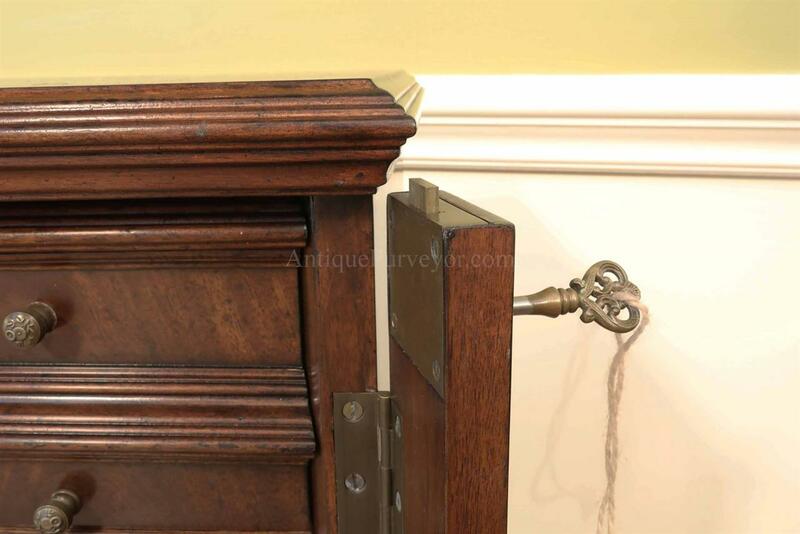 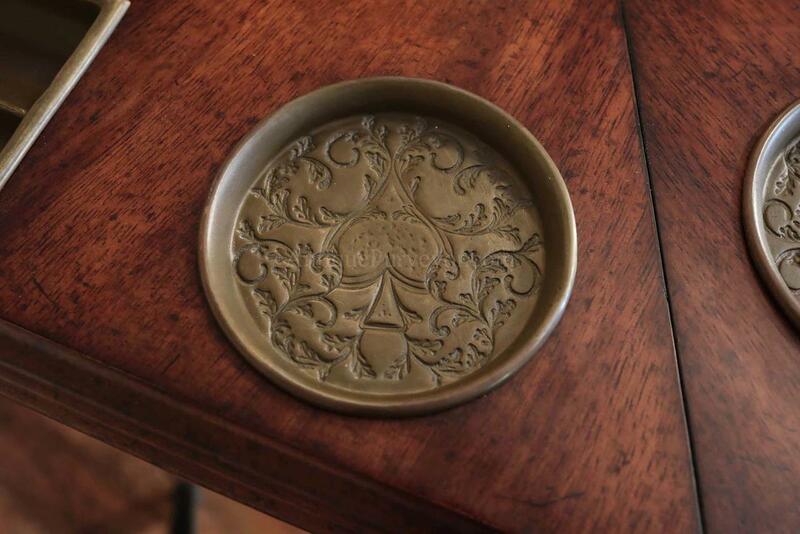 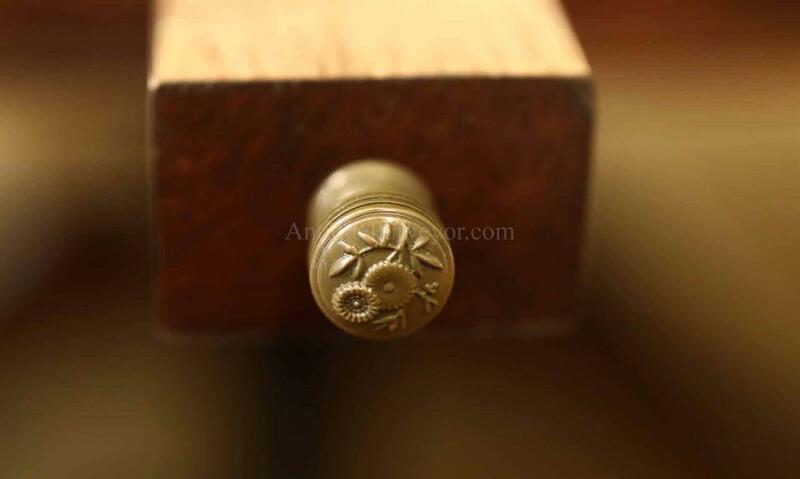 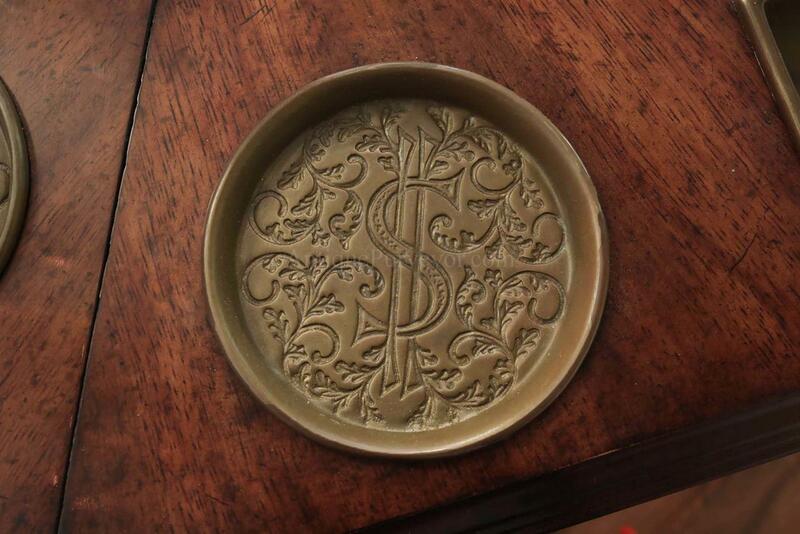 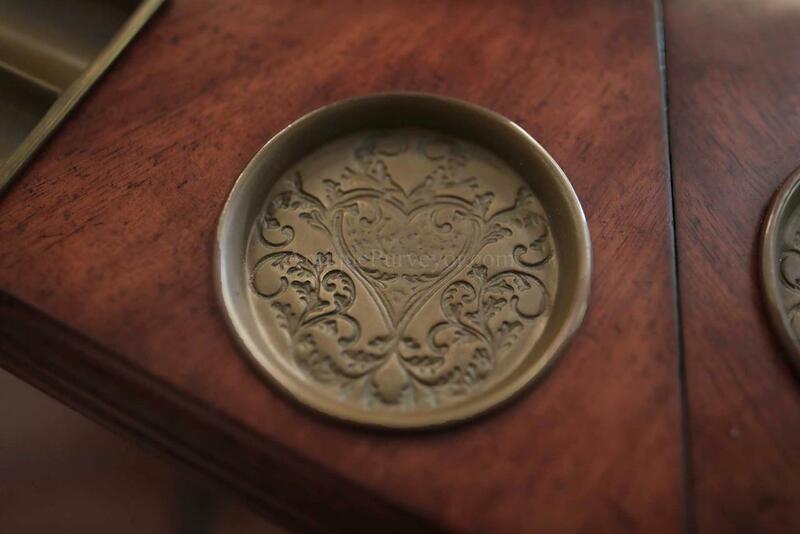 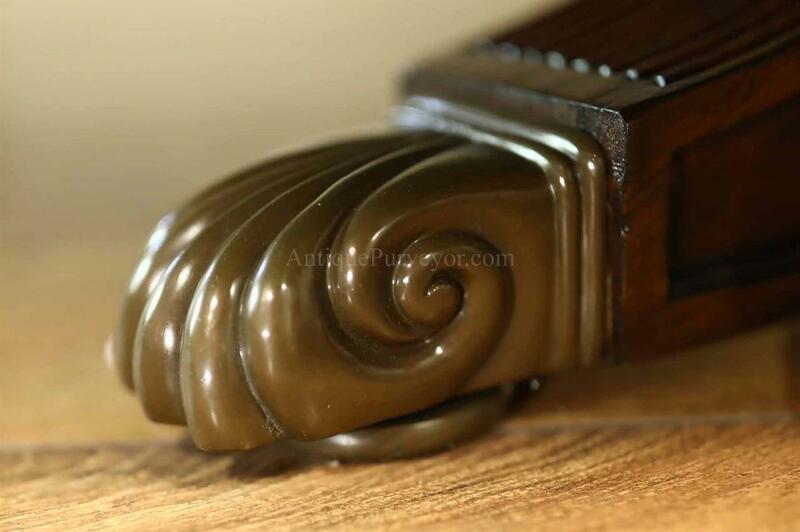 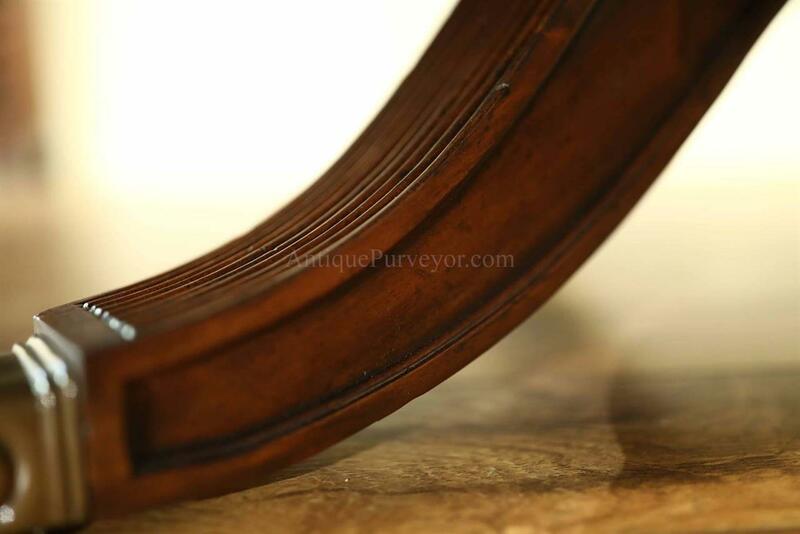 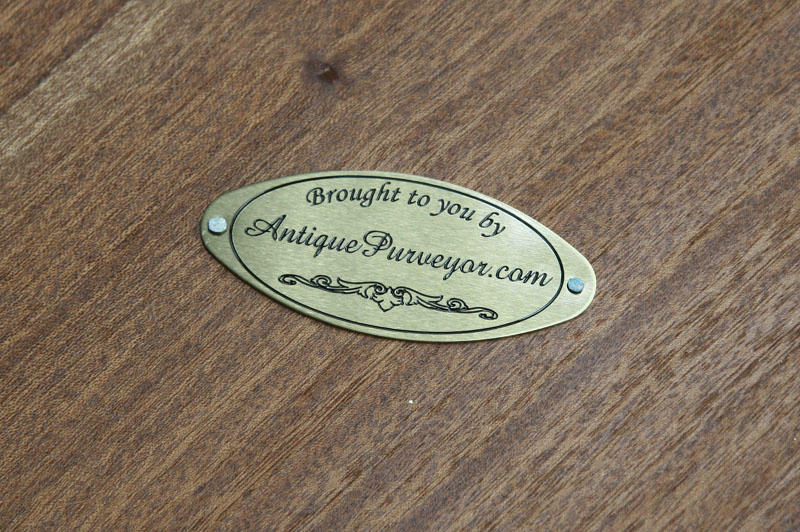 ® AntiquePurveyor.com is a registered trademark.